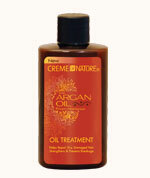 For Hair: Rub a few drops between palms and run through hair, focusing on roots and ends of hair or add a few drops to your favorite Creme of Nature® shampoo, conditioner, moisturizer or styling product for added protection, moisture and shine. 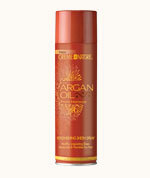 For Skin: Lightly apply to face, neck, hands and liberally to your total body. Add a few drops to skin after bathing to seal in the moisture and add glow. 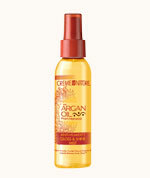 Use as a night time beauty treatment to moisturize dry skin and soften wrinkles. 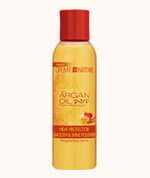 Apply 100% Pure Argan Oil to dry areas of scalp to relieve dry scalp and flakiness. Beauty in a bottle! 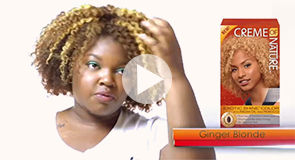 Something I can use on my hair and my skin – now that’s amazing! My skin and hair are so soft!